If you want to know how big of a problem hail damage is in the United States, just ask insurance companies. U.S. insurers paid almost nine million claims for hail losses, totaling more than $54 billion from 2000 through 2013, according to data from Verisk’s A-PLUS property database. And the average claim severity during the period 2008-2013 was 65% higher than it was from 2000 through 2007. Illinois is consistently ranked as one of the top ten states in terms of hail damage. 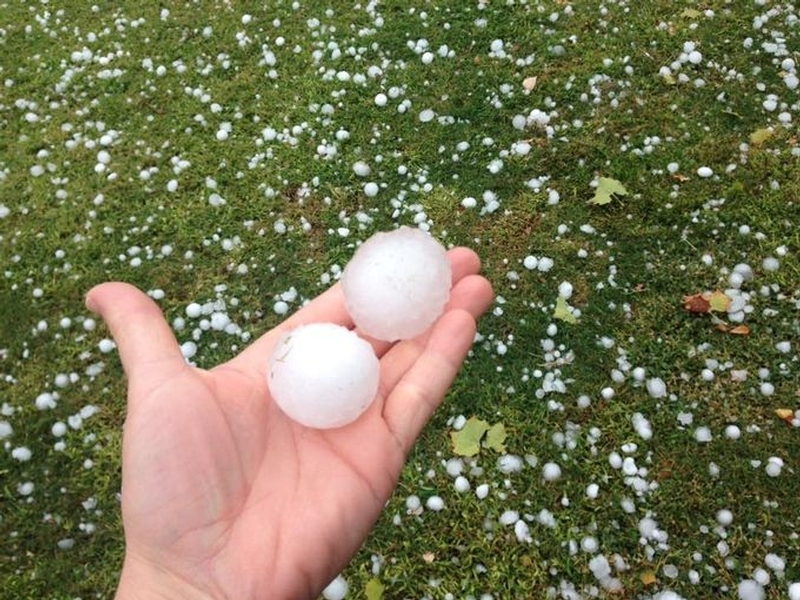 So it’s not surprising that there’s a lot of interest in hail-resistant roofing materials. If your current roof is approaching its expiration date (that is, if your shingles are worn out and the next step is a massive leak in your living room), you might as well consider roofing materials that are going to last longer. Prior to 1996, although it was common knowledge that certain roofing materials provided better protection against hail damage, no defining standard existed. Consequently, in 1996 the insurance industry teamed up with the Institute of Business and Home Safety and Underwriters Laboratory (UL) to develop the UL 2218 classification. The UL 2218 classification set a standard for roof impact resistance whereby materials were rated on their resistance to impacts with steel balls simulating 90 mph hailstones of various sizes. The Classifications for impact resistance are expressed as Class 1, 2, 3 or 4, which relate to a roof covering’s ability to withstand impacts from 1-1/4, 1-1/2, 1-3/4 and 2 in. diameter steel balls, respectively. Impact-resistant roofing materials that are rated Class 4 provide the best resistance to damage. In addition to the obvious benefit of your roof lasting longer and not being easily damaged by a hail storm, you may be able to obtain a discount on your home insurance premiums based on roofing materials. These discounts can be as high as 35% of the annual premium. While there is no such thing as a 100% hail proof roof, metal roofs meet the highest Class 4 testing requirements and can allow homeowners to achieve significant savings. You can access a comprehensive list of premium roofing products approved for insurance discounts here. According to manufacturers, hail resistant shingles have an added fiber glass backing. It’s there to provide an enhanced level of impact resistant protection over and above the high durability these popular, strong shingles already possess. According to CertainTeed, it has been proven that their shingles can stand up to the force of a two-inch steel ball dropped from twenty feet without cracking. Shingles made with polymer-modified (SBS) asphalt have better resistance to hail damage than shingles made from oxidized asphalt. It is worth noting that premium shingles do cost more. However, the selection of a hail-resistant shingle, in conjunction with an incentive from the insurance carrier, is a cost-effective alternative for both the homeowner and the insurance company.